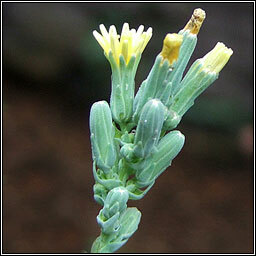 Pale-yellow flowers with olive-grey, beaked achenes and unequal bracts. Pappus equal, with simple hairs. Thick waxy-green leaves, the lower often pinnate and clasping stems. 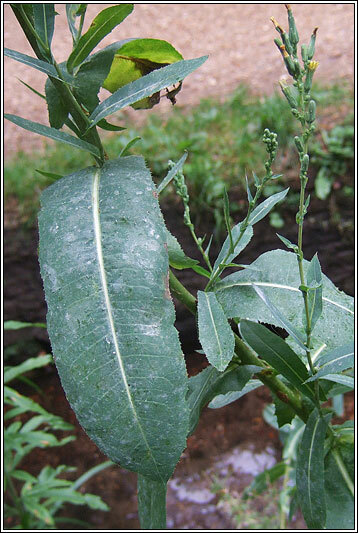 Small spines occur on leaf edges and beneath veins. Contains a white, milky sap (latex). Habitat: Common on disturbed ground, roadsides and waste ground in southern England and the midlands, having spread rapidly from the SE. 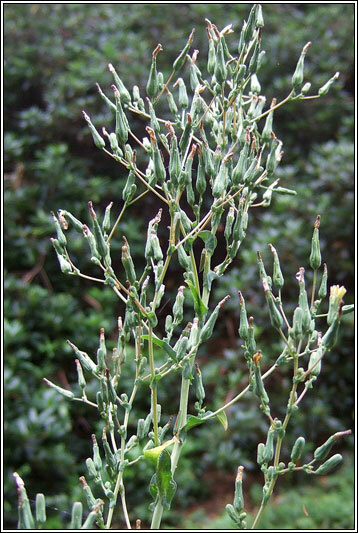 Medicinal properties: A source of Lactucarium, used in the 18th century as a non-addictive sedative.